When we start talking to patients about the benefits of braces here at Webb Family Orthodontics, we’re often met with many common questions and concerns. How long will my braces need to stay on? Will they hurt? Will I have to give up any of my favorite foods? How often will I need to visit the office for adjustments? Can my wisdom teeth coming in affect the straight smile I worked so hard for? Wait a second. Wisdom teeth? That’s right! Wisdom teeth may not be the first thing you think of when discussing worries related to braces treatment, but it’s actually a question our team hears pretty regularly. Patients who have completed or almost completed treatment worry that the results they waited so long for will be ruined by the wisdom teeth they now notice coming in. They want to know if these new teeth can exert enough pressure to move other teeth around. Can wisdom teeth actually impact the results of treatment with braces? Let’s take a look! What are wisdom teeth, exactly? Wisdom teeth are the last molars to develop, and are located on each side of the jaw in the very back. Generally, these will be visible by the time you’re 16-21 years old. If they aren’t, it could mean they haven’t broken through the gums yet, or they may just be completely absent. Because wisdom teeth are the last permanent teeth to come in, there’s often not enough room for them to grow into your mouth completely. If they become trapped or impacted, wisdom teeth will sometimes need to be removed surgically. Along with the eruption of wisdom teeth, some patients may see a relapse, or a slight shifting of the teeth, around this time. But are wisdom teeth to blame? As it turns out, most studies say no. Research carried out at the University of Iowa found that the wisdom teeth don’t exert enough pressure on the teeth in front of them to cause them to shift. By placing sensors between the teeth that compared the pressure on them with and without wisdom teeth, researchers discovered there was no difference. But if wisdom teeth aren’t a major player in our teeth shifting in our late teens and early twenties, then what is? The biggest reason is pretty simple: we age. As we get older, our teeth will naturally begin to show some wear and tear. As this drifting occurs, our teeth may begin to overlap more, moving them slightly forward. Additionally, as our teeth overlap, the upper teeth can press the lower teeth in towards the tongue. Around this age, there’s also a bit of residual jaw growth that can happen, which can sometimes force the teeth into slightly undesirable positions. Orthodontists always stress to patients how important it is to wear your retainer as directed once your braces come off, and this is why! It’s the single best defense you have in keeping your teeth on the straight and narrow. You might not need to worry about the possibility of wisdom teeth wrecking your smile, but it’s still important to understand how they can impact your overall oral health. Listed below are some of the problems that can potentially accompany the erupting of your wisdom teeth. If wisdom teeth only partially emerge, a flap of skin can form, partially covering the wisdom teeth and trapping food. This can be a breeding ground for bacteria, which can cause tooth decay or gum infections. If there isn’t enough room in your mouth for your wisdom teeth as they begin to erupt, they can become impacted. This means they get stuck in your jaws and gums and can’t break through the surface. This will generally require surgical removal. If your wisdom teeth do become impacted, painful cysts can sometimes form. These carry with them the risk of infection and decay to the surrounding tooth roots. If the back of your mouth is particularly crowded, wisdom teeth might come in at an awkward angle. This can cause painful rubbing and irritation against your cheek. This is actually the most common problem with wisdom teeth. Many people just don’t have enough room for these teeth when they begin to come in. And even if you do have room for your wisdom teeth to come in, they may be so far back in the mouth that it’s hard to properly brush and floss them. This is a leading cause of oral decay and gum disease in the back of the mouth. Luckily, problems with overcrowding can usually be diagnosed early on, long before the wisdom teeth actually begin to erupt. Once they get close enough to the surface, they can be extracted by if necessary. Wisdom teeth can be removed while wearing braces, so there’s no need to worry about what will happen if they begin coming in during the course of your treatment. You’ll be able to continue without interruption. If you’ve already completed your braces treatment, wear your retainer consistently. This will keep your teeth straight, but you must do it on a daily basis as instructed by your orthodontist. If you notice a new tightness, or feel like there’s a lot of pressure in the back of your mouth, schedule a visit with your dentist or orthodontist. They’ll be able to determine if it’s due to your wisdom teeth coming in. This is your best bet in avoiding any of these potential problems! Regular visits to your dentist or orthodontist should include periodic x-rays during the teen years to check the positioning of the wisdom teeth. This can help determine whether they’ll create problems later on. Are you in the Chattanooga area, and looking for more information on how wisdom teeth can impact your oral health and orthodontic treatment? 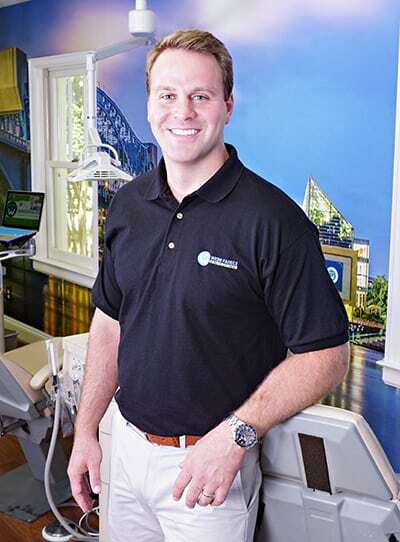 With two convenient locations in Hixson and Soddy Daisy, we’re just a call away from personalized orthodontic treatment that goes beyond braces. For more information on what our experienced team at Webb Family Orthodontics have to offer you, get in touch with us today to schedule your free consultation. We’re standing by to warmly welcome you and your smile to our practice!